Playing with Papercrafting: July's Free Tutorial Features Bike Ride and Embossing Paste! July's Free Tutorial Features Bike Ride and Embossing Paste! As you know, if you've been following my blog, subscribers to my monthly newsletter are able to download from that newsletter, a free photo-tutorial each month. In the up-coming July issue, the free tutorial will consist of a card that features the new Bike Ride Bundle and gets you playing with Stampin' Up! 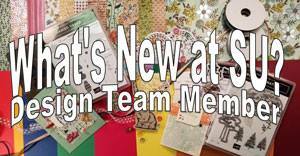 's new embossing paste! 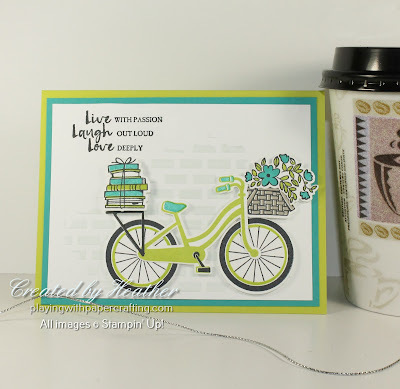 I had a blast with this set AND with the embossing paste! I can tell you, I'm going to be using both a lot more in the future. 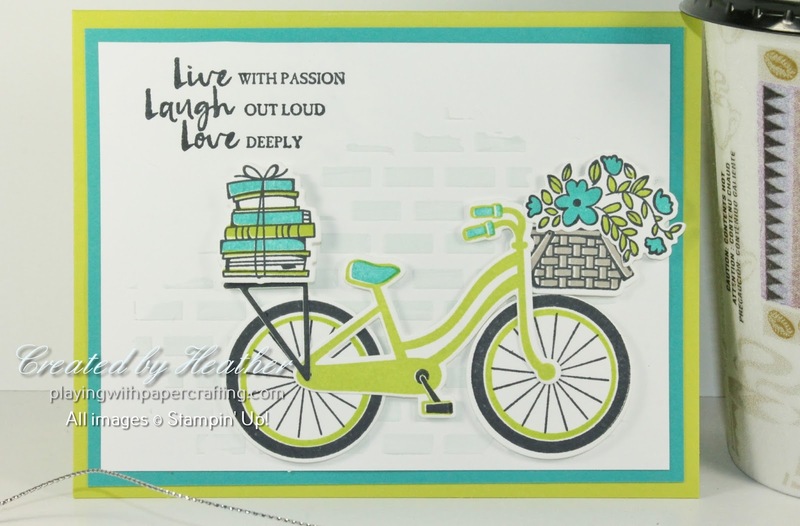 The Bike Ride Photopolymer stamp set is one of the best I've found so far for two step stamping. 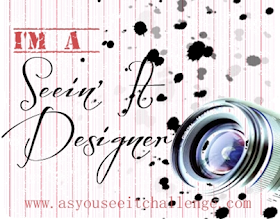 Your images come out so precise! I was so pleased with the outcomes. And the Build a Bike Framelits are extremely accurate as well. Everything fits together like a glove! And then there's the embossing paste! 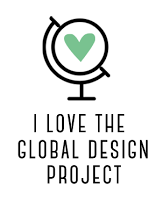 It's so easy to just experiment with and have fun! The only proviso is that you need to keep up with the clean up so it doesn't dry on your tools and masks! 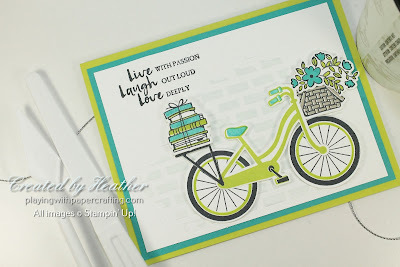 I felt that the Embossing Paste with a hint of blue in it, used with the brick mask from the Pattern Party Decorative Masks would make a perfect back drop for the bike. On my first try, I used a single drop of Bermuda Bay, right into the dollop of embossing paste on my Silicone Craft Sheet. It turned out to be much too intense in colour. For my second attempt, I added a drop of Soft Sky to the craft sheet, but only gradually mixed some of it into the paste as needed for the colour intensity I wanted. Using the Palette Knives to mix it and spread it over the mask is super simple and gives great results! Don't be afraid to play with it. It dries fairly quickly depending on the thickness of the layer! 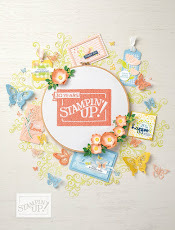 The way the stamp set and dies work together is another learning curve that I will sort out for you on the tutorial. 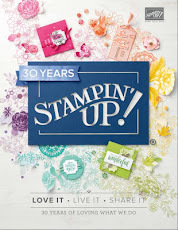 I was actually kind of surprised that Stampin' Up! didn't make a video for this bundle, as it was a trial and error process for myself! But don't worry! I've made all the errors and done the trials for you, so you can experience success right off the bat. To get this free photo tutorial, which includes step-by-step instructions with photos, a list of materials and all measurements needed, all you have to do is subscribe to my free monthly newsletter, with the understanding that you may unsubscribe easily at any time. To subscribe, simple enter your email address in the box below and click on go! How simple is that? ?